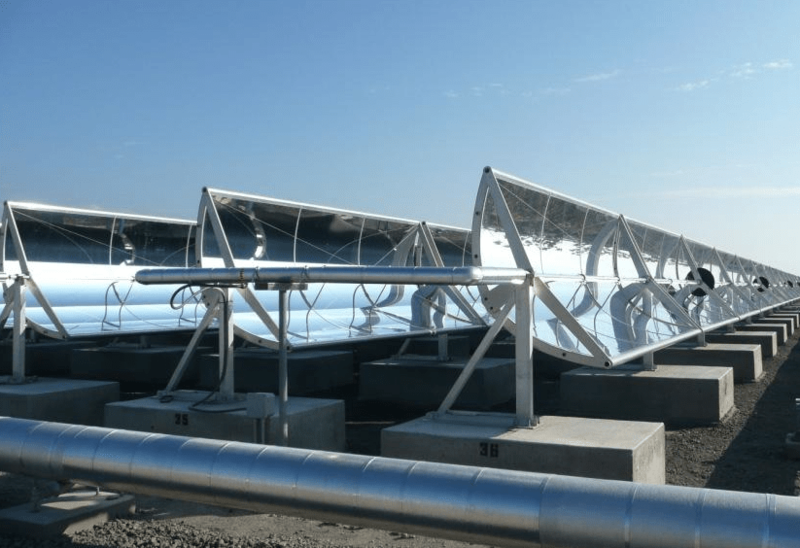 BY PANOS PREVEDOUROS PHD – A five megawatt facility with solar thermal collectors is planned on Department of Hawaiian Homes Lands (DHHL) lands. The provider and contractor is a local firm that has a smaller deployment on the Big Island. The Big Island facility has used millions of taxpayer money in the form of technology credits to provide basically a tiny amount of usable energy, if any. 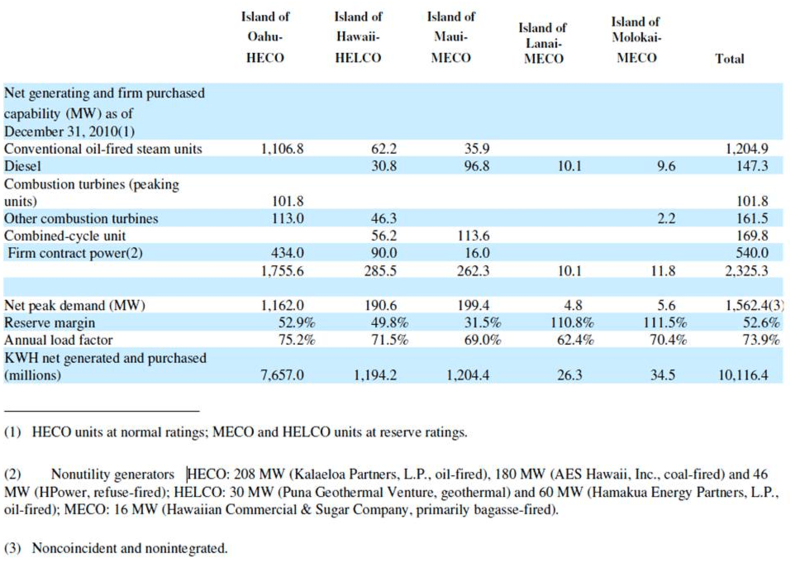 As shown in the list below, depending on the source, the Big Island facility is mentioned as being able to generate 2000 KW (2 MW), 500 KW or 100 KW and to be feeding power to HELCO, the Big Island utility. The watt (W) is a measurement of electric power; KW is kilowatt and is equal to 1,000 watts; MW is megawatt and is equal to one million watts. Source (1) says that the power purchasing agreement started in January 2010 for 2 MW. A description of the same Big Island facility specifies 2 MW for $20 million invested using 1,008 solar concentrating panels on 4 acres of land; see source (2). That’s $10 Million per MW which is expensive. It comes to $10 per watt whereas rooftop photovoltaic (PV) panel system costs about $5 per watt (See note 1). The company’s CEO said to me in person —and in source (3) cited below—that the facility produces 500 KW. That’s $40 Million per MW which is absurdly expensive because now the cost is $40 per watt. The Nevada based electric generator manufacturer who sold the Green Machines that presently operate on the Big Island facility in question specifies two 50 KW generators. So the 4 acre site has a maximum power generation of just 100 KW; source (4). The CEO of the Big Island facility is quoted saying this: “The delivery and performance of the Green Machines have allowed us to fully utilize our solar field…” This means that indeed all that this facility can do on a sunny day without clouds is 100 KW. Now the cost per MW is clearly in the stratosphere at $200 Million per MW or $200 per watt. The Hawaii Electric Industries (HEI) annual report ending December 31, 2010 shows all their active Power Purchasing Agreements (PPA) and the subject Big Island concentrated solar panel facility is not listed as a source of purchased power. Source: HEI table below. The reduction from all this information is that 1,008 panels and 4 acres are required to produce 0.1 MW which is mostly used internally and none of it is sold to HELCO. Unlike a PV system, this concentrated solar panel system requires a lot of electricity to operate pumps, valves, and sun-tracking motors. This means that the amount of electricity sent to the grid is less than the 100 KW stated above, which further increases the cost per MW. Oahu’s daily needs exceed 1,200 MW. If this technology were to power Oahu it would require 48,000 acres and zero cloud cover over the panels 365 days a year. In addition a very large quantity of water would be needed to cool down the generators. It appears that this locally developed technology of micro solar collectors (sun tracking troughs) can physically produce a small amount of electric power, but it does so at an exorbitant cost, especially when compared to other environmentally benign renewables such as PV. Were 1,008 solar troughs, that cost millions of dollars in high technology tax credits, installed for HECO TV commercials, politician photo ops, and investor enrichment? Do HECO and the Public Utilities Commission have any idea as to what works, what doesn’t, and at what cost? How can a solar plant with 1,008 collectors produce 2 MW per day and have zero sales to the utility? My home solar panels produce 0.0016 MWh per day and HECO knows all about it. Have we legislated mandates that promote unreasonable ratepayer charges? Right now Hawaii power customers pay over 250% more for electricity than the mainland. Why do we develop policies and select options that make this premium go even higher? One of the five stated purposes of Hawaii’s PUC is to “Foster and encourage competition or other alternatives where reasonably feasible in an effort to provide consumers with meaningful choices for services at lower rates that are just and reasonable.” Purchasing power from a power generating facility at a cost exceeding 22 cents per KWh is very expensive. Why does the PUC entertain rates higher than 25 cents per KWh specifically for “Concentrating Solar Power” as stated in the Feed-in Tariff (FIT) rates? This preferential rate for a single technology is twice the baseline FIT rate of 13.8 cents per KWh for other renewable energy technologies. Why? Such a discriminatory pricing begs another question: Is Hawaii so desperate for a local success story that we waste millions of taxpayer and ratepayer dollars in uncompetitive overpriced technologies? My questions point to a lack of due diligence or breach of fiduciary duty on the part of the utility industry in Hawaii, its regulators and our legislators. The governor must obtain an understanding of the realities of the renewable energy game in Hawaii. Or perhaps the governor is the problem – I mention it as a possibility, but I suspect that he’s never received an unbiased briefing. Hawaii’s energy arena needs clear metrics and performance based contracting, not fake promises and preferential treatment. Hawaii needs fact-based energy leadership, not rhetoric and commercials. Mr. Kimura should respond to this article and explain his claims of a 2MW plant. There is nothing on site but two 50kW Electratherms. Anyone considering in investing in Mr. Kimura or his businesses should pause after reading this article, and do further due diligence if they don’t believe Mr.Prevedouros. Mr. Kimura has wasted $20 million in Kona, and most likely paid himself a decent salary while he’s been at it. The funds for this project, and most of Sopogy’s activities, have mainly been from state tax credits. These are the tax paying public’s funds, and they have been wasted. I look forward to Sopogy’s explanations and proof of KW sales to HELCO.